Super Blood Wolf Moon Total Lunar Eclipse | Click This, TAPG! You are lucky. We had total cloud cover throughout. Yes, I was. I did not expect it as it rained all day and most forecasts said any clearing would have been after midnight. Goes to show, you just never know. Terrific image! Thanks for braving the rain and cold to share your view of the moon with us! Thank you! Glad to share. We were socked in with rain and clouds last night. Thanks for sharing your beautiful photo. So sorry for you and many others who told me the same thing. 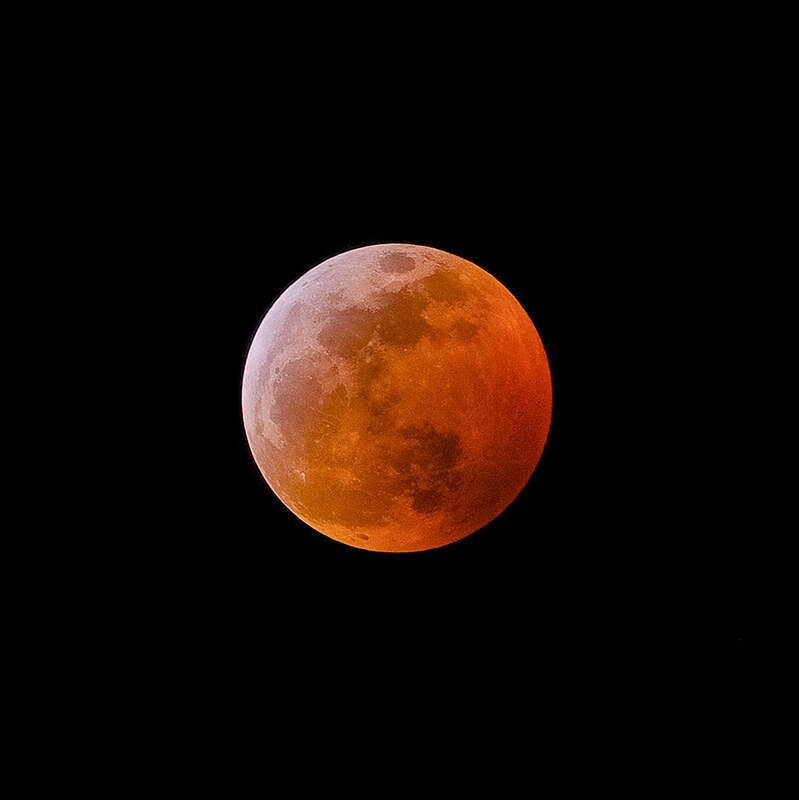 Just checked and found out how lucky I was: the next total lunar eclipse visible in the Americas isn’t until 2021 and I don’t think it is of very long duration. Your beautiful photo will stand the test of time until the next opportunity. So sorry for you, too.